We love decorating our drawing room with a stylish looking furniture where Dining table plays a vital role. Although, we must have seen a variety of dining table with distinct style yet you could confuse yourself when it comes to purchasing a right one. Dining table can be a center of attraction if you have chosen it keeping in mind what really you would like to purchase i.e. what kind of design and how much space do you have and indeed it's a daunting task to choose a right kind of furniture that would enhance the interior of your living room with style. Furniture in Fashion will describe about different kinds of furniture that you may choose to add style to your living space. When it comes to decorating your house with furniture, you will get plenty to choose from but you have to make the right selection. It won't be wrong to say that a smart looking furniture is something that can add beauty to your home where Dining table has a crucial part to play. Most usually you place it in your drawing room or a dining room. Hence, a careful selection is a ?must? to give an impressive looks to your drawing room. Apart from different sizes they also come in different shapes and sizes whether you are seeking for an oval, rectangular shaped or a square shaped dining table you will get variety to choose according to space that you have in your room. Let's have a look at some major categories of dining tables that are available at our online store. These table are made keeping in mind the modernized way that people appreciate because of their stylish looks. Having a clear glass these tables come in both square and rectangular shapes. The base of glass top is typically crafted of chrome finish. Among the most popular breed of dining tables another one is Black dining tables, known for their extreme classic looks these tables are everything that you may have to add style to your home. 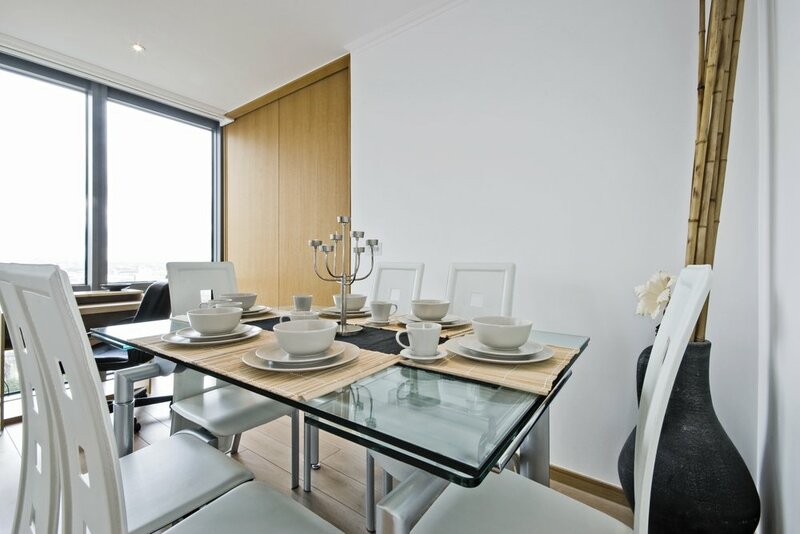 They come with a sleek black table and dining chairs. Because of their space availability these tables are most appreciated by big families. Another category joining this famous listing is Frosted dining tables and chairs, come with sturdy frames this popular category of tables is favorite of new generation. Holding a capacity to make eight people sit comfortably around the table, these tables can be another good option for a big family. Next in the listing are Compact glass dining tables, these tables with their compact sizes are perfect for studios, small apartment or offices and offer an elegant and impressive look to the viewers. Giving space to four people these tables are available in wide variety and styles. But before going forward, one must make sure about what space do you have. Although, idea of choosing a right one might be confusing for some but if you are still not sure which one to choose, even we have a solution for you at our online store. Furniture in Fashion provides you everything that you need to add beauty and style to your home so next time you don't have to ask anyone when you are purchasing an elegant furniture for your house.